To own a firearm and to become a Concealed Carry Weapons License holder is one of the most responsible things that you can do for yourself and your family. The concealed carry weapons license allows you to carry a firearm; however, you are also authorized to carry several other types of weapons (including a death star...). Within my concealed carry weapons course we shall cover the details of what is legal in the state of Kentucky. 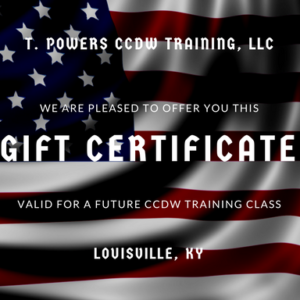 By attending my Concealed Carry class you will receive the instruction necessary to obtain a Kentucky CCDW license. My classes are limited to twenty students per class in order to maximize my ability to assist my students. I have instructed a wide range of people that have attended my Concealed Carry classes. From novices that have barely shot a firearm to persons that have been shooting for twenty plus years, I have provided the instruction necessary for them to achieve their CCDW license. Currently, my classes have achieved a 100% graduation rate. I make every effort, in my course, to assist my students in achieving their concealed carry deadly weapons license. To attend my class you must be at least 21 years of age and a Kentucky resident. Non-Resident active military members that have been stationed in the state of Kentucky for a minimum of 6 months are also qualified to attend my course. Please refer to my class schedule. To register for one of my classes click on the desired class and complete the registration form. Total cost for the class, including firing range expenses, is $85.00. Fantastic class for a beginner! Fantastic class for a beginner! 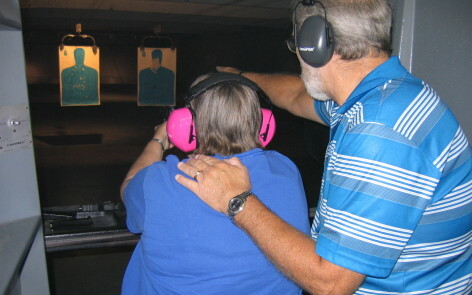 Terry is very patient, knowledgeable, and a great instructor of Kentucky deadly weapons laws. He offers practical tips for women shooters. My confidence was built through taking instruction with Terry. 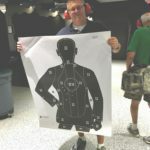 I recommend him for beginners as well as experience marksmen that want to earn a CCDW license. What a Great Class !!! Was nervous at first but Terry soon puts you at ease! Would advise this class for all senior ladies. In today’s times it is very much needed in order to feel safe! Terry did a great job! So glad we took his class, he made everything so easy. Great instructor and easy to work with! I loved Terry’s class! He is serious about what he teaches but teaches in a manner that is fun and interesting. He is very approachable and knowledgeable. Would recommend this class to anyone regardless of your firearm experience! Very great class and instructor!!! Terry is a very polite and nice guy to get to know. His class was super informative and he had the answer to any question you threw at him. Very easy and will work with anyone! I would highly recommend Terry for your instructor to get your CCDW!! What a great class. As I sit here cleaning my gun,because of going to the gun range, I thought to myself that I thoroughly enjoyed his style of teaching. Terry is the best guy in town, highly recommended ! Best instructor you will find!!! 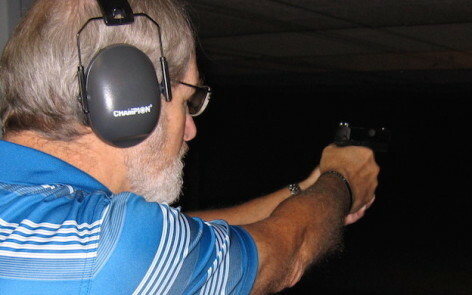 Terry is very personable and made sure everyone felt comfortable throughout the class and at the range. I wouldn’t recommend anyone other than Terry for their CCDW course. I thoroughly enjoyed the class. It was very informative and learned the proper way to load, carry and what to do and not to do with a firearm. Terry is a very good instructor and very patient as this was my first time to handle and shoot a gun. I would highly recommend his class. Terry is a great instructor. Had a great time during class. Videos a little dry but required. Instuctional part very good. My wife shot for the first and did very well, thanks Terry. 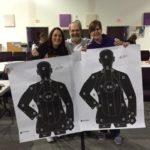 Terry is an great instructor for the conceal carry of deadly weapons class! He is very professional and knowledgeable of the ccdw class. He answers all questions the class has. I would highly recommend him! This was the best course I have every taken. Comfortable environment with an experienced professional. Terry Powers thanks for a great time. Appreciate having the opportunity to carry the knowledge instilled within me from the course. The CCDW class was great. It’s very straight forward and knowledgeable. Terry will sit and listen to everyone and every question and answer as thorough as possible. I learned a tremendous amount of information with the material that was shown. Keep up the good work man. My referrals will be heading your way soon! If ur looking for an instructor, look no more! Terry Powers is “The Man”! Today I attended Terry’s class and let me tell ya! He’s an outstanding coach and he’s an expert in the ways of the weapon. Along with being super knowledgeable he was very entertaining! Now I can protect my loved ones and myself with sheer confidence and discretion. Great job Terry! Great class, great instructor, will definitely pass this site around as he made it fun the best he could. GREAT CLASS!! Terry is a great instructor, very knowledgeable and answered all our questions. And made it fun. Will tell everyone I know to go to him for this class. Thank you terry!! What a great class! And a fun time too! Terry is the greatest!! He cares about his students!! Terry Powers is ” the bomb ” !!!! When I took Terry’s class I was still very nervous around guns. Terry really taught me so much about gun safety that helped me feel much better and safer with my gun. I would recommend his class as he takes time to help you learn and understand everything you need to know. 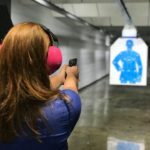 Kim H.
I would recommend Terry to anyone wanting to take CCDW training. Very thorough and informative. Excellent instructor. I truly enjoyed my class as I was very nervous but Terry helped me feel so at ease. Everyone should take this class if they are at all interested in Concealed Carry. Thank You Terry. My shots are on point now! Working with Terry was a FANTASTIC experience! Very informative and knowledgable . Terry Powers was not only very knowledgable about the various gun laws but his class was so informative and enjoyable . I learned so much and really enjoyed the time I spent there . This was a very good CCDW class. Learned a lot. Very good instruction. Terry Powers did a great job. Was very knowledgeable about the guns and Kentucky gun laws. I learned a lot and would definitely recommend him to others. The class was informative, practical, and applicable. The instructor’s comments were concise and practical. He reviewed main points very well. Was very informative and made everyone feel at ease. Did a great job of emphasizing safety. Will recommend this instructor to others interested in taking this course. Very informative, easy to understand all instructions. Covers the laws in easy to understand terms. Would recommend this class to everyone. Keeps things moving well, offered breaks. Answered all questions. Great job, will recommend to others.